The Pearl Jam icon will have Glen Hansard in support. 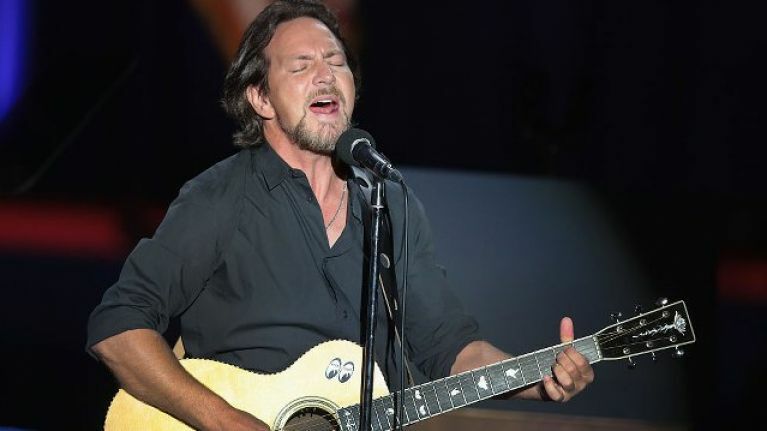 Eddie Vedder is set for a return to Irish shores as part of his new European tour. The enduring Pearl Jam frontman will take to the stage at Dublin's 3Arena on Wednesday 3 July, with Glen Hansard playing support. It's not the first time the pair have linked up, having previously played together at the same venue in the summer of 2017. Tickets priced from €69.50 go on sale on Friday 22 March via Ticketmaster and usual outlets nationwide. A special pre-sale for current members of Pearl Jam’s Ten Club starts now for select dates. Full details are available at the official Pearl Jam website.